Feeling of vertigo (room is spinning) when turning over in bed, getting up from bed or lying down in bed. Visual disturbance or feeling of unsteadiness when your head is moving. Older people with chronic dizziness or imbalance are two to three times more likely to fall in comparison with older people who do not experience these problems. If so you may have one of these treatable conditions. This is the most common disorder of the inner ear’s vestibular system. 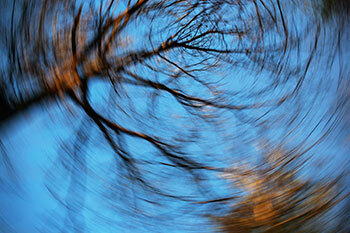 BPPV produces a sensation of spinning called vertigo which occurs suddenly and with a change in head position. Most patients first notice this sensation of spinning when turning over in bed, getting up from bed or lying down in bed. This problem can be cured in one to two treatments sessions. movement sensors in your feet and legs. With age these systems become less efficient and there is a gradual and progressive loss of balance and/or a more frequent feeling of dizziness. Reduction or loss of vestibular function in both inner ears can result in difficulty maintaining your balance especially when walking in the dark or on uneven surfaces. In addition you may have intense feelings of being off-balance and strange and/or disturbing sensations in your head. These are disorders that result from an infection of the inner ear or nerves connecting the inner ear to the brain. Veritgo, dizziness and difficulties with balance, vision or hearing may result. Decrease your sense of being off-balance. Decrease visual blurring during head movement. Improve your functional balance especially during walking. Improve your general physical condition and activity level. Enable you to return to a more normal level of participation in your activities. Reduce any social isolation you may be experiencing.